Kelowna is part of the Regional District of Central Okanagan which also includes Peachland, Lake Country, West Kelowna and unincorporated communities on both sides of Okanagan Lake. Kelowna is the largest community in the Regional District with a population of 131,600. 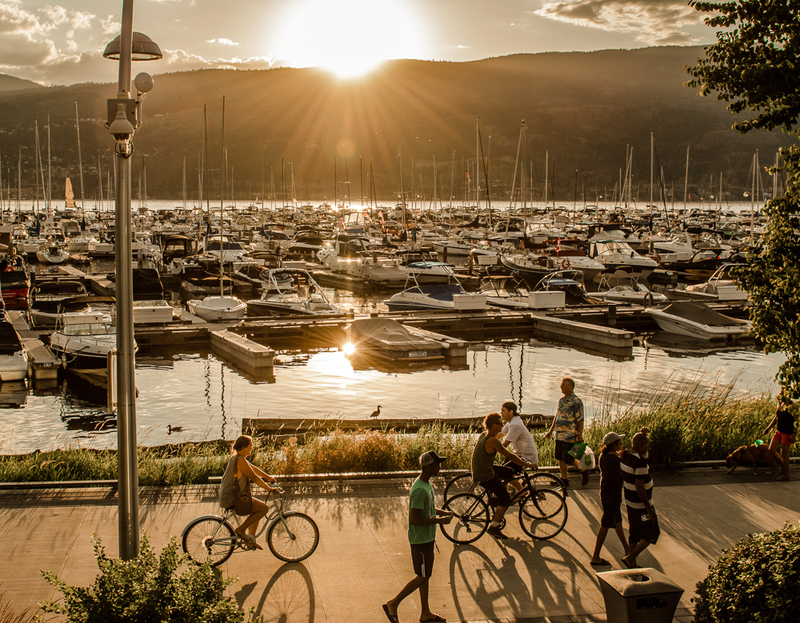 Recent outcomes of the Citizen Survey rate the quality of life in Kelowna as good or very good thanks to active/recreational opportunities, safety, its accessible location, job opportunities and the great weather. As a desirable place to live, offering an active four-season lifestyle, Kelowna remains one of Canada’s fastest growing cities. The City of Kelowna is open to opportunities, open for business and open to new ideas from diverse residents. Detailed population and demographic information can be found in the 2016 census data for Kelowna. You can find additional information through BC Stats. Each year, the Community Trends Report focuses on a different theme, while also providing the community a resource for basic statistical and demographic data that can be used as the foundation for organizational and program planning and development, policy analysis and community development. Further information about how Kelowna is trending on goals established in the Official Community Plan can be found in the Official Community Plan Indicators Report. The Provincial Health Authority publishes a Community Health Profile for the Kelowna to provide data that facilitates dialogue about community health . The profile features data on demographics, factors that affect health, health status and compares them to provincial averages. Kelowna is located along the beautiful shores of Okanagan Lake, in the heart of the stunning Okanagan Valley. The lake offers opportunities for boating, swimming or fishing, while nearby mountains attract hikers, skiers and outdoor enthusiasts. Golfers tee-it-up at our 13 courses, and bustling urban centres offer restaurants with delectable food, award-winning wines, craft beers and ciders, local shopping, museums, live entertainment and cultural festivals. Serving over 2-million passengers annually and offering more than 70 daily non-stop commercial flights with 10 airline partners Kelowna International Airport (YLW) is one of the top 10 busiest airports in Canada. YLW’s total economic impact is 4,545 jobs and $789 million in total economic output to the province of British Columbia. Jan. 12, 2018: Axelle updated population to reflect 129,500 - used in Provisional Budget and Community Report and provided by Graham March to reflect population growth. July 31, 2018: Summer changing page to About Kelowna and removing unnecessary landing page.